Situated above the beautiful ocean waters of Malibu and just a few miles north of Santa Monica lies one of the best driving sanctuaries in the world, the Mulholland Canyons. Set with blind corners, sweeping turns, and timeless scenery, Mulholland seems to have been put here on earth for those who ‘drive’ for pleasure. This stretch of land attracts my interest every time I visit Los Angeles. Whether it’s been a ’85 Jeep Cherokee, Chevrolet Corvette, or countless rental cars, I always seem to carve out time to drive up highway 1 to absorb sun, enjoy the views, and track down the adrenaline that Mulholland offers. 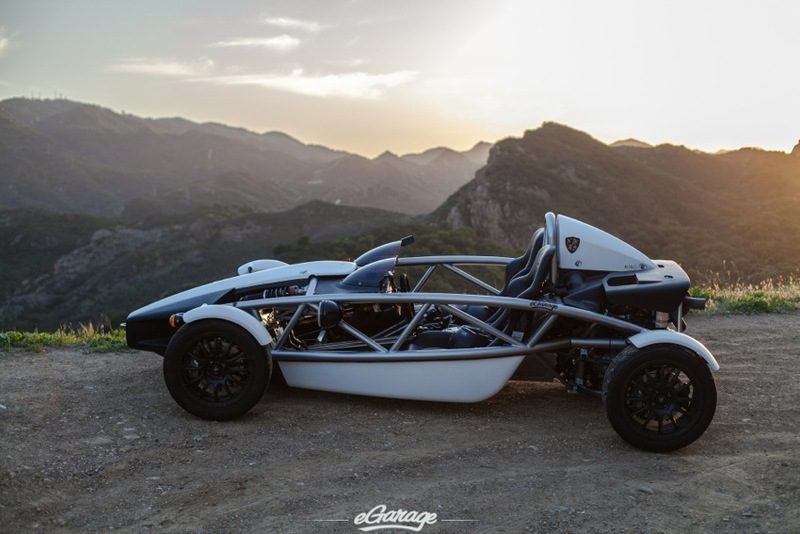 While in Los Angeles, we needed a test mule for a 3D video test shoot, our friend David at Bridge Street Jewelers brilliantly offered up an Ariel Atom for the day. What a perfect subject for 3D video testing? Yah! Unfortunately, during the delivery of the Atom, the film studio had “equipment” failures. This meant no shoot for the day, but an Atom in our hands. Having the car delivered to my brother (our web designer and IT extraordinaire), we automatically knew where to head. We grabbed our helmets and camera equipment and headed out from Marina Del Rey to Highway 1. The route takes you down Pacific in Santa Monica to the PCH where you can hop into Topanga Canyon to begin enjoying the gifts this scenery has to offer. This route is familiar territory for supercars, superbikes, and supermodels. The Ariel Atom was a neck breaker in this environment. Let’s rewind a bit to the Ariel Atom in my brother’s garage. What is it? 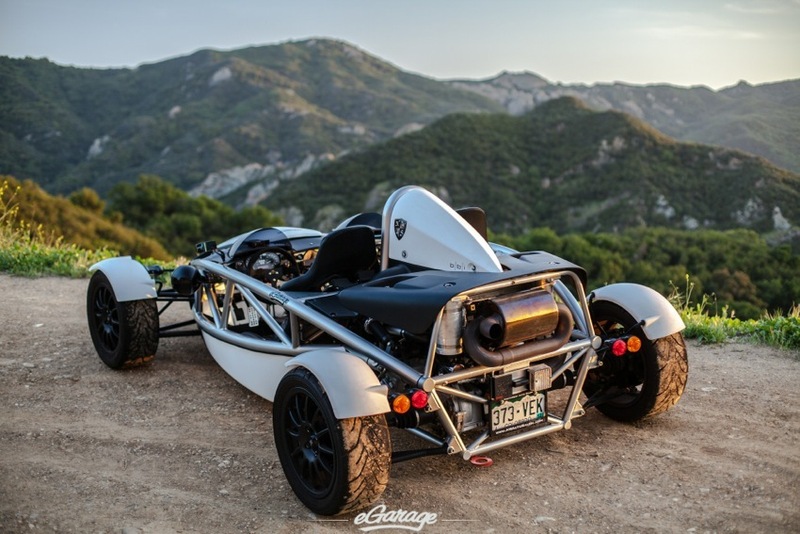 This is an Ariel Atom 2, powered by a 2.4L Supercharged GM Ecotec 300HP designed by a few chaps in England. It is street legal and takes you 0-60 in 2.9 seconds. 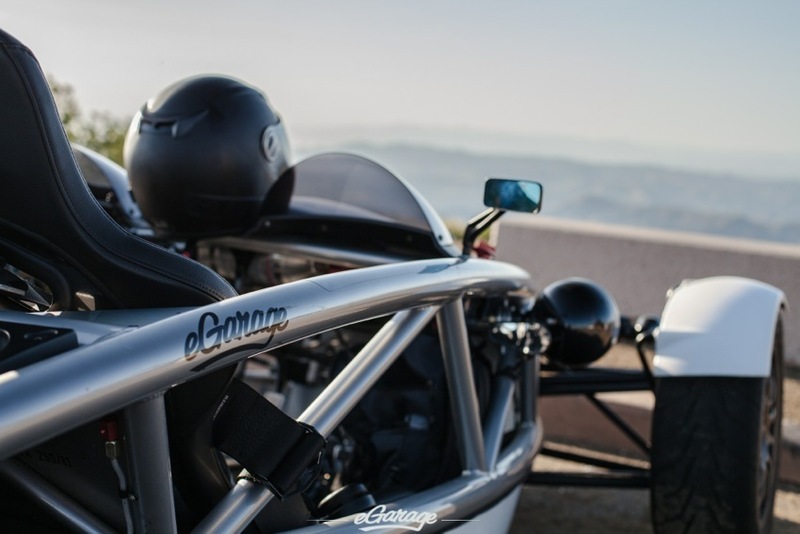 The Ariel Atom recipe is the following – a strong tube chassis paired with a proven powertrain and very little weight. Jeremy Clarkson famously said the Ariel Atom is so quick it can destroy your entire face. 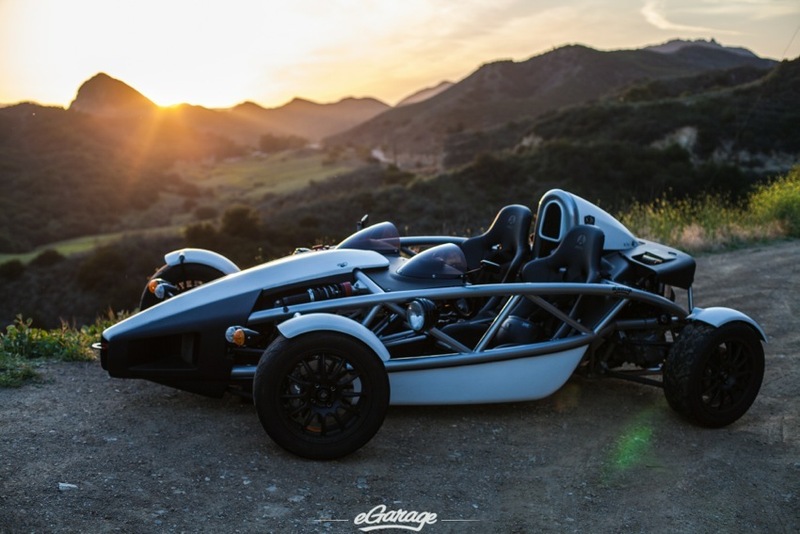 Amongst his garage full of Bugattis and Duesenbergs, Jay Leno owns serial #001 which was the first Ariel Atom built under license for the United States. 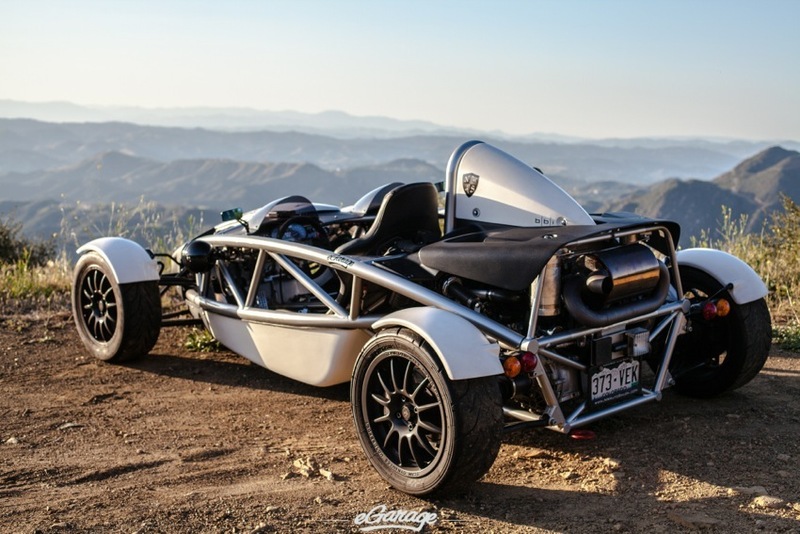 So here Jordan and I were, in an Ariel Atom packed with camera equipment shredding through the canyons. The open aired Atom screamed like angry bees through the Pacific Ocean mist. Engaging the car gear through gear was pure ecstasy. What a visceral experience as we watched the open suspension lean through the turns! The blind corners at speed led to harsh braking to maintain smooth exits out of the corners. 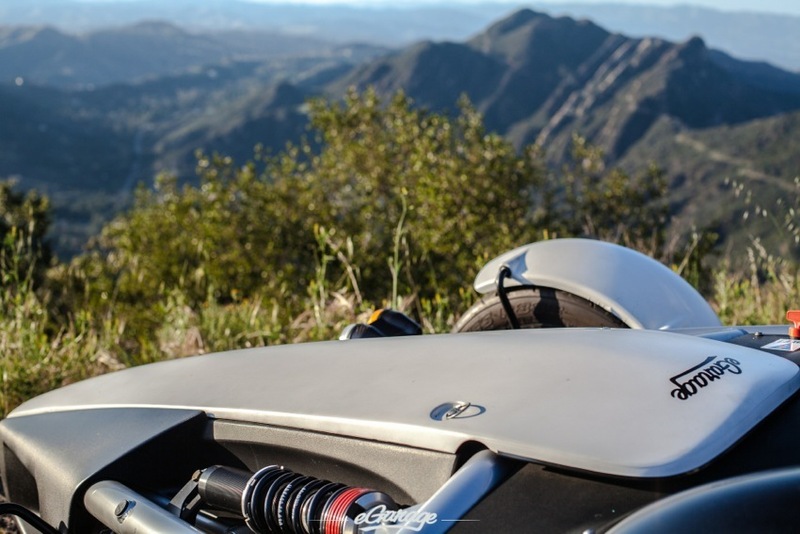 The twisties of Mulholland combined with the thrill of the Atom requires constant concentration. This is what fascinates me with a car like the Atom, it allows you to find a mental space in which you find levels of focus you never knew you had. Unfortunately we had to snap out of this ecstasy and apply a bit of that concentration to the images we wanted to capture. As we raced from deep in the canyon, we knew the higher west we climbed the better chance we’d have at capturing the Malibu sunset. The chilly Autumn air rushed around our helmets as the car’s intake seemed to finally find the fresh breath it yearned for. Finally, after a long right hand bend, the Sun popped nearly blinding us as we exited. There it was. 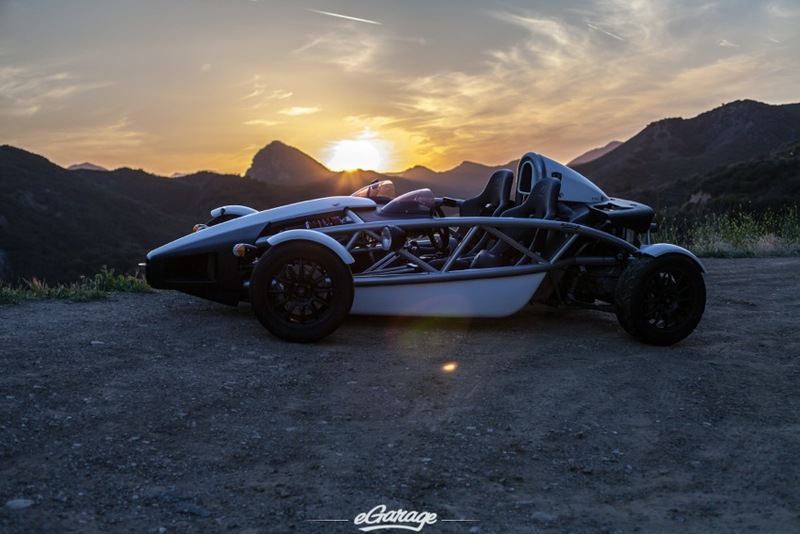 We knew it was time to position the car, grab our cameras, and wait as the sun set on our day with the Ariel Atom. 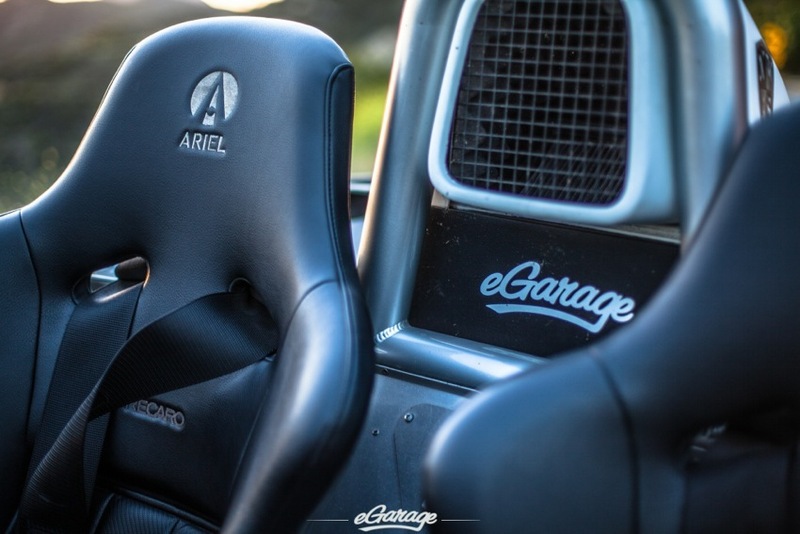 A common theme here at eGarage is what we call freestyle photo shoots. Its exactly how it sounds – grab keys and drive. The right location or the right sunset will present itself, just enjoy the drive. What seemed like a day of last minute issues turned out to be a timeless memory with my brother riding shotgun in one of the fastest cars on the planet. Again, a big shoutout to our friend David at Bridgestreet Jewelers for handing us the keys. Enjoy!